Dr. Alvaro Suarez Sarmiento is Full Professor of Telecommunications, University of Las Palmas de Gran, Canaria, Spain. He is the Head of the Telematic Engineering Department at the University of Las Palmas de Gran Canaria, Spain, from 1998. He is Member of the Experts Commission of research of the University of Las Palmas de Gran Canaria from 1999-2002. He in 1990 started working in systolic computing in the Technical University of Catalonia. Then he turned his attention to network computing and heterogeneous computing in 1994 when he returned to the University of Las Palmas de Gran Canaria where he founded the Concurrency and Architecture Group (GAC). His research interests are in parallel and heterogeneous distributed computing, infrastructure wireless networks for collaborative computing and collaborative frameworks. His current research efforts have focused on the management of wireless channel disconnections to prevent abrupt endings of applications. Professor Suarez teaches telecommunications at the beginning, advanced, and graduate levels, and advises graduate theses in the area of wireless communications and parallel and heterogeneous distributed computing. Prof. Habib ABDULRAB is Professor of Computer Sciences, Mathematical and Software Engineering Department, INSA de Rouen, France. His research interests include: Knowledge Modelling, Constraints Programming. Prof. Abdulrab supervised some PhD. researchers working on these topics. He supervises currently four PhD students working on these topics. He is responsible of Informatics part of Mathematical and Software Engineering Department. He has published more than 50 referred research papers. Dr. Vaclav Snasel has been vice-dean for Research and Science at Faculty of Electrical Engineering and Computer Science, VSB-Technical University of Ostrava since 2003. He graduated from the Faculty of Natural Sciences of the Palacky University, Olomouc Czech Republic in 1981, Ph.D. in Algebra from the Masaryk University Brno in 1991, Associate Professor in 2001. From 2001 he is a visiting scientist in the Institute of Computer Science, Academy of Sciences of the Czech Republic. Snasel has published more than 230 papers on Otology, Knowledge Management, Databases, Multimedia, Information Retrieval, Neural Networks, Data Compression and File Organization. 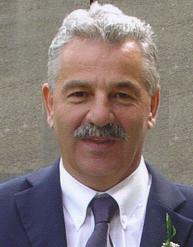 Dr. Ladislav Hluchy has been Head of the Department of Parallel and Distributed Computing since 1985, and Director of the Institute of Informatics since 1992. He has been Editor-in-chief of the Computing and Informatics journal (formerly Computers and Artificial Intelligence) since 2000. He is the (Co-)Author of several scientific books, (Co-)Author of numerous scientific papers, contributions, invited lectures at scientific conferences and workshops. He is Member of programme committees at scientific conferences. Dr. Hluchy's research interests are: Grid architecture and Grid computing; Multi-agent systems and virtual networking; HPCN applications; Parallel and distributed computing; Mapping, scheduling, load balancing, system monitoring, fault tolerance; Architecture models, software technologies. His recent projects include MEDIGRID: Mediterranean Grid of Multi-Risk Data and Models (2004-2006) EU 6FP IST RTD project; K-Wf Grid: Knowledge-based Workflow System for grid Applications (2004-2006) EU 6FP IST RTD project; EGEE: Enable Grids for E-science in Europe (2004-2006) EU 6FP IST RTD project, and; PELLUCID: A Platform for Organizational Mobile Public Employee (2002-2004) EU 5FP IST RTD project. Prof. Melin is a Professor of Computer Science in the Graduate Division, Tijuana Institute of Technology, Tijuana, Mexico. In addition, she is serving as Director of Graduate Studies in Computer Science and head of the research group on fuzzy logic and neural networks. Currently, she is Vice President of HAFSA (Hispanic American Fuzzy Systems Association) and Program Chair of International Conference FNG'05. Prof. Melin is also Chair of the Mexican Chapter of the Computational Intelligence Society (IEEE). She is also Program Chair of the IFSA 2007 World Congress to be held in Cancun, Mexico. She also belongs to the Committee of Women in Computational Intelligence of the IEEE and to the New York Academy of Sciences. Her research interests are in Type-2 Fuzzy Logic, Modular Neural Networks, Pattern Recognition, Fuzzy Control, Neuro-Fuzzy and Genetic-Fuzzy hybrid approaches. She has published over 50 journal papers, 5 authored books, 8 edited books, and 140 papers in conference proceedings. Dr. Marcellin Julius NKENLIFACK is the Head of Computer Science Department, Institute of Technology, University of Dschang, and an Associate Professor. He received M.A. degrees in Computer Science, followed by Ph.D. in Computer Engineering and Control from National Polytechnic Institute, University of Yaounde I. He had been a visiting researcher at Institut Scientifique et Polytechnique Galilee, Universite de Paris 13 (2001) and SUPELEC �V Rennes, France (2003). He is the author of research papers on novel aspects in Software Engineering, Computer Applications in Industry and Engineering, Object oriented Modeling and Simulation, Meta-modeling, UML, Hybrid Control Systems, Distributed Control, Computer in Education, E-learning. He designed and developed an "Object-Based Simulation Environment for Hybrid Control Systems" and actually contributes to develop "An Internet-based Distributed Real-time Control System for the Cameroon Power Network". He is also requested as reviewer in many Conferences and Workshops. He has been awarded a Lecturer's award for 2003-2005 period for exceptional contributions towards developing e-learning at University of Dschang. He has also served as a consultant in many industrial projects and companies. Dr. Yiming Li is currently an Associate Professor with the Department of Communication Engineering and the Microelectronics and Information Systems Research Center, National Chiao Tung University (NCTU). From 2003 to 2004, he was the Research Consultant of the System on a Chip (SOC) Technology Center, Industrial Technology Research Institute (ITRI), Hsinchu, Taiwan. From 2003 to 2005, he was the Director of the Departments of Nanodevice and Computational Nanoelectronics, the National Nano Device Laboratories (NDL). He conducts the Nanodevice Modeling and Simulation Laboratory and the Parallel and Scientific Computing Laboratory at the NCTU. His current research areas include computational electronics and physics, physics of semiconductor nanostructures, device modeling, parameter extraction, circuit simulation, development of TCAD and electronic computer-aided design (ECAD) tools and SOC applications, bioinformatics and computational biology, and advanced numerical methods, parallel and scientific computation, optimization, and computational intelligence. He has authored or coauthored over 120 research papers appearing in international book chapters, journals, and conferences. He has served as Editor-in-Chief, Associate Editor, Guest Editor-in-Chief, Guest Associate Editor, and Reviewer for many international journals and conference proceedings. Dr. Elhadi Shakshuki is an associate professor and he is currently the Graduate Program Coordinator in the Jodrey School of Computer Science at Acadia University, Canada. He is the founder and the head of the Cooperative Intelligent Distributed Systems Group at the Computer Science Department, Acadia University. He received the B.Sc. degree in computer engineering in 1984 from El-Fateh University, and the M.A.Sc. and Ph.D. degrees in systems design engineering respectively in 1994 and 2000, from the University of Waterloo, Canada. He manages several research projects in his research expertise in the area of intelligent agent technology and its applications. Dr. Rahimi is an assistant professor of computer science at the Southern Illinois University (SIU)-Carbondale. Prior to jointing SIU, he was a visiting assistant professor at the University of Southern Mississippi, where he was a co-director of a NIMA-NURI (DoD) sponsored project involving intelligent database agents for geospatial knowledge integration and management for over three years. Moreover, he has over four years experience as vice president in research with TEMA Engineering Company. Dr. Rahimi has been recently awarded two grants in the area of geospatial data integration and Intelligent Agents. He currently is the director of SIU Software Agents Group (SAG) where faculty and students are involved in several Agent-Based research projects. His main research interests are multi-agent systems, distributed and high performance computing, and Soft Computing. Dr. Rahimi has over 60 publications in peer reviewed proceedings and journals. He is the associate editor of Informatica ournal for north and south America, editor of International Journal of Computer Science & Applications�XIJCSA, and a member of the editorial board of Scalable Computing Journal. He has been selected as a chairman and member of the organizing committee for several international conferences. Dr. Hao Wang has over 26 years of industrial and academic experience in IBM, Iowa State University, Nanjing University, and national laboratory. He earned Ph.D. in Computer Science, Ph.D. in Water Resources, Master of Science in Computer Science from Iowa State University, USA; He also earned Ph.D. from Nanjing University, China. He worked as associate professor, principal researcher, postdoctoral researcher, scientist in Nanjing University, Iowa State University, IBM, and national laboratory; he led several teams with NSF and other funds to apply the engineering principles to resolving scientific and technological problems. He published 3 books and over 100 papers. He was invited by several organizations to write review articles (Annual Review of Fluid Mechanics about wind engineering and high performance computing and others). He won NASA, NSF, and Sino-Japanese awards. He also won Chinese presidential award and US extraordinary scientist award. He also has extensive industrial experience. He has bee working for IBM for over 6 years to develop the world-leading application server products. He filed over 12 patents; and he won 9 more publications and industrial achievement awards. He designed and developed object grid, partition facility partition routing, dynamic workload management, context-based routing, database stale connection mechanism, and unified clustering framework. He invented new algorithms and new methodologies to do dynamic workload management. As the best high availability expert in IBM, he also developed series of high availability (HA) solutions. He helped over 700 worldwide customers in the end-to-end system design and problem resolving. Dr. Helmut Horacek is a senior researcher at Saarland University, Germany. From 1989 to 1995 he took a position as an assistant professor for computational linguistics at the University of Bielefeld. From 1995 to 1996 he was an associate professor for Information systems at University of Constance. He has studied computer science at the Technical University of Vienna, Austria. He received his doctoral degree in technical sciences from that university in 1982. Since then, he has worked on research projects related to natural language processing at University of Vienna, and later at University of Hamburg, Germany. Since 1996, he was involved in various projects at the German Research Center for Artificial Intelligence (DFKI) and at Saarland University, Germany. His research areas include natural language generation, dialog modeling, discourse analysis and planning, pragmatics, knowledge representation, searching, game-playing, and tutorial systems. He has published over 100 papers in journals and conference proceedings, he is a regular reviewer for top journals, and he has served as a programme committee member in several international conferences and workshops. Dr. Dechang Chen is an assistant professor of Department of Preventive Medicine and Biometrics at the Uniformed Services University of the Health Sciences, USA. He has conducted extensive statistical consulting work in numerous fields such as agriculture, animal foods, chemistry, civil engineering, environmental sciences, manufacturing, pharmaceutics, quality control, and signal processing. Dr. Chen's research interests include bioinformatics, machine learning, applied statistics, and differential equations, and he has published more than 50 research papers. Dr. Thomas Schwarzfischer obtained his Diploma and PhD in Computer Science from the University of Passau, Germany. He has had study and research visits to Edinburgh University, Scotland; St. Petersburg State University, Russia; Kyoto University, Japan; and Carnegie Mellon University, Pittsburgh, USA. He is in the real-time group at the University of Passau, participating in a project developing a specification and simulation toolkit for real-time scheduling algorithms. He is currently research associate at the University of Passau, heading a project on soft-real-time and stochastic planning issues. He is the author of several research papers on novel aspects in soft-real-time computing research interests: soft-real-time computing, planning, and stochastic search. Cornel I. G. Resteanu is a senior research worker at the National Institute for Research and Development in Informatics, Bucharest, Romania. Also, he had been an associate professor at the AISTEDA Bucharest University - Department of Informatics (1995-1997). He has published 5 books and over 60 papers in conference proceedings or journals. He is the Head of 'Operations Research" Group. His research activities include studies in Operations Research (mathematical programming, multiple attribute decision making, graphs, transport, stocks etc. ), Artificial Intelligence, Euristics, Cybernetics, Economics, Manufacturing, Production Control, Large-Scale Systems Simulation / Optimization / Control, Reliability, Advanced Decision Support Systems, E-commerce, E-procurement, E-business, E-learning. He is also an expert of analysis and mathematical modeling in complex information systems; Consultancy on simulation / optimization / control problems with application to industrial units; Design of information systems meant for: coal mining, machine-building, electronics, construction materials, leather, ready-made clothes, petrochemical etc. industries; Informatics audit, enterprise evaluation and management consultancy (together with ERNST & Young). Dr. E. Bekiaris, Dr. Mech. Engineer of the National Technical University of Athens, is Principal Researcher in the area of Telematics Applications for Transport in the Hellenic Institute of Transport. He has acted as Project Coordinator of 5 research projects, co-funded by the European Commission, technical coordinator in another 2 and administrative coordinator in another 3 projects. His field of expertise ranges from Road Safety to specialized telematics applications for private vehicles, public transportation, even ships. He has also profound experience in technology for the integration of people with special needs, with emphasis on accessible transportation systems. Dr. Bekiaris has been invited as expert evaluator of proposals in 3 different programmes of the European Commission. He has also been invited to speak in front of the European Parliament on the subject of mobility and transportation of disabled people. He has been member of the organizing committee of 7 international conferences and he has chaired relevant sessions. He has published 23 articles in international scientific journals and 127 conference presentations. Dr. Richard Messnarz is the Executive Director of ISCN LTD. He studied at the University of Technology Graz and he worked as a researcher and lecturer at this University from 1991 - 1996. In 2 European mobility projects (1993 and 1994) he was involved in the foundation of ISCN, and he became the director of ISCN in 1997. He is/has been the technical manager of many European projects: PICO - Process Improvement Combined Approach 1995 �V 1998; BESTREGIT - Best Regional Technology Transfer, 1996 �V 1999; TEAMWORK - Strategic Eworking Platform Development and Trial, 2001-2002; MediaISF - Eworking of media organisation for strategic collaboration on EU integration, 2001-2002; ORGANIC (http://www.innovationmanager.org) - Innovation Management Strategies for Europe (2003 - 2006); E-Commerce Jobs - Best European Practices for E-Business. He is the general chair of EuroSPI (European Software Process Improvement and Innovation) Initiative. See EuroSPI 2005 at http://2005.eurospi.net. He is a SPICE lead assessor. He is a member of the INTACS (International Assessor Certification Scheme) Board. In the CREDIT project he was responsible for the architecture of the systems and later became the project leader of the Capability Adviser system (SPICE Assessment Portal) development. In the project EPI he is the project leader for the integration of Capability Adviser with a set of LMS (Learning management Systems) in Europe and Eastern Europe. Dr. Richard Messnarz is the key researcher in the Bootstrap methodology and developed a tool and published articles in Springer about capability profiles in 1991 - 1992 (this part of Bootstrap has been considered by SPICE / ISO 15504 later). In total he has done so far more than 75 project assessments in the last 8 years. He has held a number of ISO 15504 based courses. He is the project leader of the ISO 155094 Assessment Portal running at companies like ZF, ContiTEMIC, Magna, G&D, ISQI, etc. 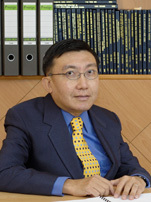 Dr. C. Li is a professor in Faculty of Computer and Information Technology at Daqing Petroleum Institute. He obtained his PhD degree in Computing Science from University of Technology, Sydney, Australia. He has worked at Deakin University, Australia as a Visiting Professor. His interests have been being research in "Artificial Intelligence and Intelligent Systems", "Software Engineering" , and "Image Processing and Pattern Recognition". He has completed nine research projects to be funded by Chinese government and six industrial projects. He has acted as Project Coordinator of six research projects. He has been awarded seven prizes by Chinese government because of the important contributions of four projects. He has published one monograph and edited four books. More than 60 papers have been published for presenting his research results. He has developed some agent-based systems and proposed MAHIS methodology for constructing agent-based hybrid intelligent systems. He has been member of the program committee of 6 international conferences and he has been reviewers of more than 20 journals or international conferences. Adamantios Koumpis heads the Research Programmes Division of ALTEC S.A., which he founded at 1996 (then as independent division of Unisoft S.A.). His previous job position was at the Institute of Computer Science, FORTH, at Heraklio, Crete, where he worked at the Rehabilitation Tele-Informatics and Human-Computer Interaction Group in several Commission's RTD projects (RACE, ACTS and TAP). He is author of research papers, technical reports and Project deliverables in the domains of Data/Information Management and Human-Computer Interaction. His research interests include quantitative decision making techniques and Info Society economics. He is also Project Manager of many industrial and research projects in Greece in the areas of E-Commerce, public sector and business enterprise re-organisation and information logistics, concerning linking of data/information repositories with knowledge management and business engineering models. Sio I. Ao has been one of the founders and IT director of a leading web hosting and application development corporation in Hong Kong. His duties included leading the technical team, providing networking solutions to both the corporation and its clients, studying the feasibility of new development plans and product plans in the information technology field, and consulting with clients for their implementation of the Internet and networking development plans. He was selected by a Hong Kong newspaper: the Sing Tao Newspaper as one of the Tenth Outstanding e-Entrepreneurs (SME section, 1999). He has also appeared in other interview reports including the front-page interview by PC Market, and those by Hong Kong Economic Times, PCWorld Hong Kong, PCXpress, PCWeekly, and PC.com etc. His recent research interests are mainly on bioinformatics, computational intelligence, data mining and financial engineering, and has published about 20 referred research papers on these domains. Gregory Milopoulos is the IT Project Manager of Pouliadis Associates Corporation: R&D Department. He has been the Project Coordinator of the European Commission project CEBOS (Cost-effective eBusiness Operating Systems for SMEs �V 1,119 M Euro Budget). He have been involved in the following activities: (1) Analysis and Design of various components of other IST Projects; and (2) Participation in all the stages of the preparation and submission of proposals for IST and GGET (Ministry of Development) projects. Gregory has been the Editor of Financial Analyst in the magazine "Money" (Best Business Magazine 2000), with his expertise on the e-business. He has also cooperated with the Cypriot economic magazines "Investor", "Europrofit" and the daily Greek financial paper "Express". M.A. Hannan Bin Azhar is Researcher in Department of Electronics at University of Kent, Canterbury, UK, in the area of Pattern Recognition; Artificial Intelligence techniques; Neural Networks, Genetic Algorithms, and other Biologically Inspired Computing Paradigms; Handwriting Recognition; Numerical Stochastic Optimisation Algorithms; Autonomous Robotics and Embedded systems. He is also Lecturer in Canterbury College, UK in Computing and IT. Some of the units he teaches: Network Operating systems, Network Design and Admin, Computer Systems and Communication Technologies. In 2000-2001, he was Lecturer, Full time, Electrical and Electronic Engineering Department, Bangladesh University of Engineering and Technology (BUET), Dhaka, Bangladesh (www.buet.ac.bd). Involved in teaching Computer Programming and Numerical Analysis, Electrical Circuits and other Electrical and Electronic Engineering courses. In 2001, he received the Commonwealth Scholarship by Commonwealth Scholarship Commission, UK for doing MSc at University of Kent, UK. Dr. Wei-Chuan Lin received his Ph.D., M.S., and B.S. degrees in the Department of Computer Science and Information Engineering from Tamkang University (TKU), Tamsui, Taipei, Taiwan, in 1998, 1986, and 1984, respectively. After graduated from TKU, he worked in the Institute of Information Industry until 1993. He is an associate professor in the Department of Information Technology in Takming College, Neihu, Taipei, Taiwan, since 1993. His research interests include intelligent avatar, peer-to-peer communication, wireless network application and software engineering. He has published about 40 referred research papers. Dr. Josep R. Herrero currently works as Assistant Professor and Researcher at the Department of Computer Architecture, in the Polytechnic University of Catalonia (UPC), where he has large experience teaching courses on operating systems, programming, and software development tools. In the past he has done internships in several universities and companies in different countries. Currently, his main research area is in high performance scientific computing. He has many other interests which include computer and network security, development tools, operating systems, and teaching in higher education. Didier Nakache is an experienced engineer who has graduated from the CNAM. He previously built for the French National Health Service a very huge data warehouse as project director (100 terabytes of data: the ERASME project). He wrote about 15 papers and has a strong knowledge on medical data management, datamining, artificial intelligence, bioinformatics, computational statistics and textmining. Since 2002 he is the key member of the OUTCOMEREA's decisional support system design and building, including data collection and warehousing tools in the medical area. He has been awarded the Ruby Medal (highest distinction) by the Societe Industrielle du Nord, and is also President of an insurance company, President of the CNAM Engineers and Students Association in Valenciennes (France), Governor of the CNAM Nord (France), Governor of the Paul Duez College in Cambrai (France), member of AFIA (French Agency for Artificial Intelligence) and member of ATALA (French Association for Natural Language Processing). Dr. Zakaria Maamar is associate professor at College of Information Systems, Zayed University, Dubai, United Arab Emirates. 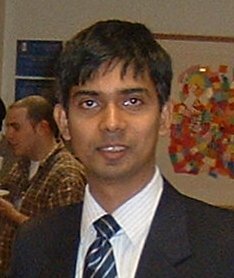 Between 1999 and 2002, he was Adjunct Professor at Computer Science Department, Laval University, Quebec, Canada. His research interests include software agents, mobile web services and web services. Wathiq Mansoor received his Ph.D. degree (Computer Science) from University of Aston, UK. He is Associate Professor of Information Systems, Zayed University. His research activities are in the areas of distributed computing, software agents, mobile database and neural networks. He has published a number of articles in international journals and conferences. He has more than twenty years of teaching experience in the fields of computer engineering, computer science, and information systems. He joined the ZU College of Information Systems at the Abu Dhabi campus in Fall 2000, and he moved to the Dubai campus in the Fall of 2001.